Open a Spa Bag and pamper yourself. 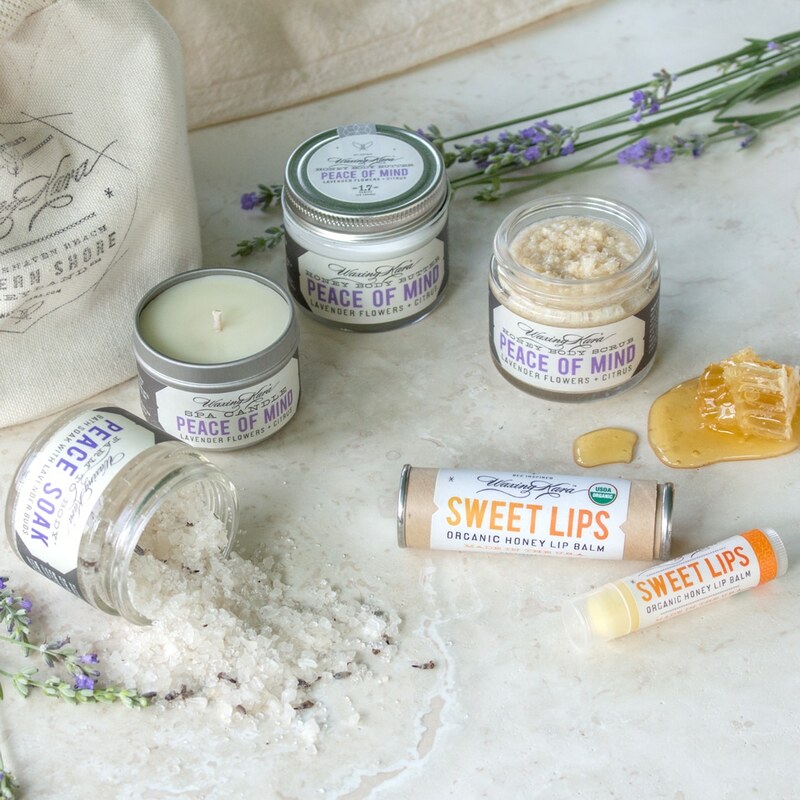 It’s filled to the top with 2 ounce samples of Honey Scrub, Body Butter, a Spa Candle, mineral salt soak and Sweet Lips Natural Honey Lip Balm. Waxing Kara’s Spa Bag helps you relax and unwind. 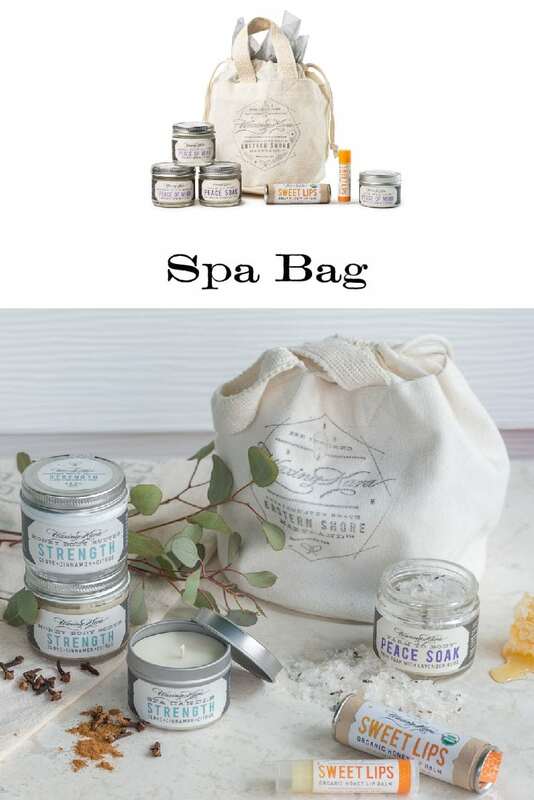 A Spa Bag also makes an incredible gift. Over the last couple of years, we’ve custom made them for bridal showers, birthdays, and more. These bags are perfect to take along to your nail salon-just ask the technician to use the products for an ultra special treatment! Share the goodness of deep relaxation with your friends and family. 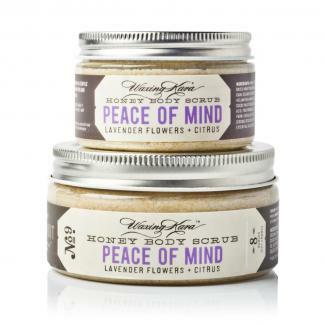 Choose from Peace of Mind, a Lavender and Citrus Essential Oil Blend, Spa, a Lavender and Rose Essential Oil Blend, and Strength, a blend of clove, cinnamon and eucalyptus essential oils. I love how it smells, I love how it feels and even better, I love how my skin feels afterwards. I am buying one small gift bag to pack for Costa Rica and another to give to a girlfriend. 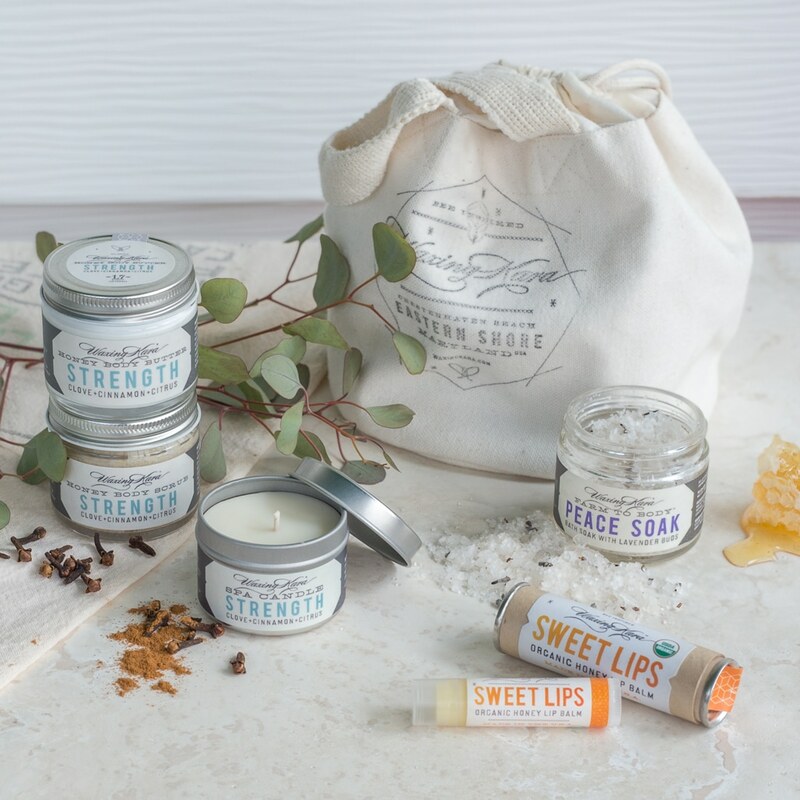 Used these products as a gift for my daughters bridal shower . They were a huge hit .